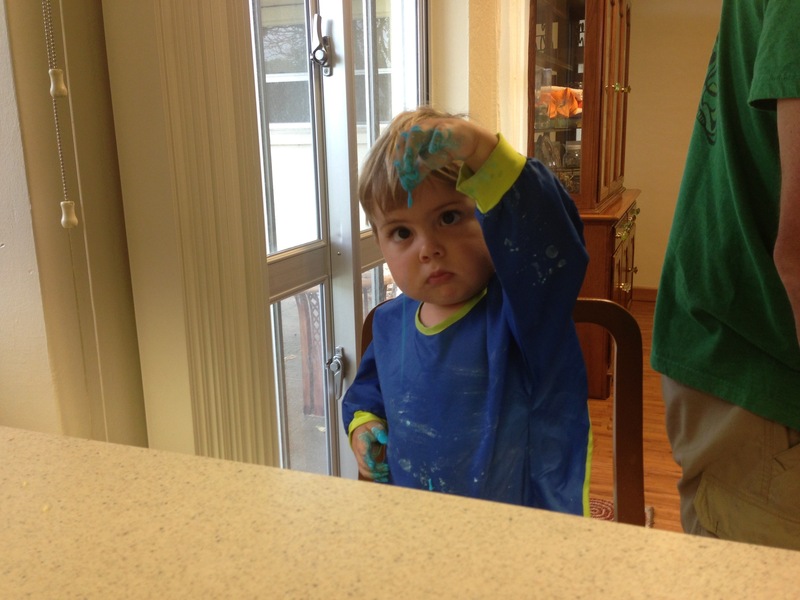 You have 1 guess who was home this afternoon and made oobleck for Isla and Asher. Yep, Elliot! He’s leaving tomorrow morning before we’ll be awake, and going to Guam to take his written board exam. We won’t see him for a few days, so he spent most of today hanging out with us (and cooking for us, too!). 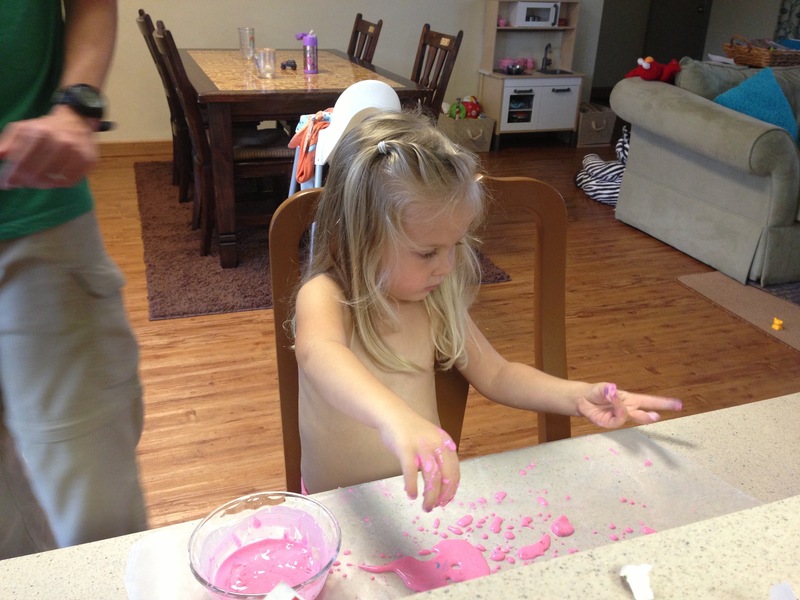 I first heard of oobleck just a couple of years ago, in San Diego. One of my friends had made some for her boys and thought it was such a success, she passed on the idea and the recipe to me. 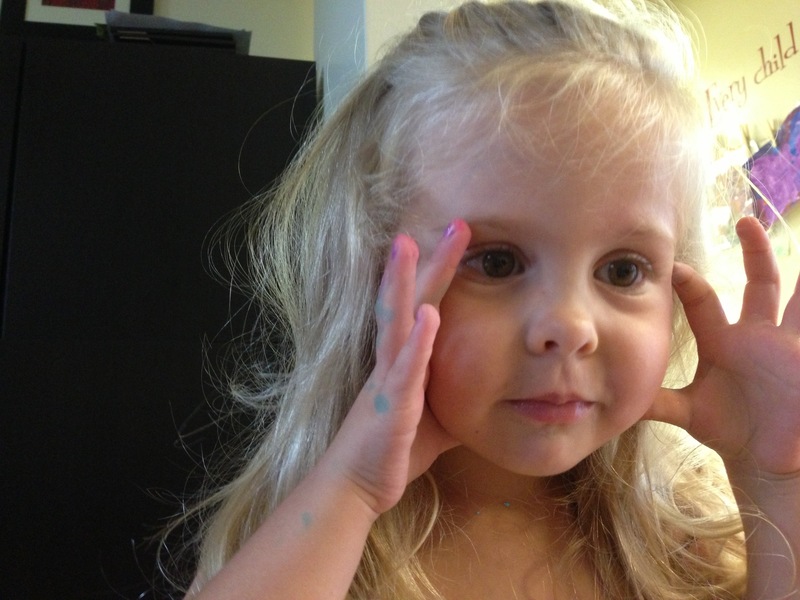 I then made some for Isla (this was before Asher was born), and she loved it. 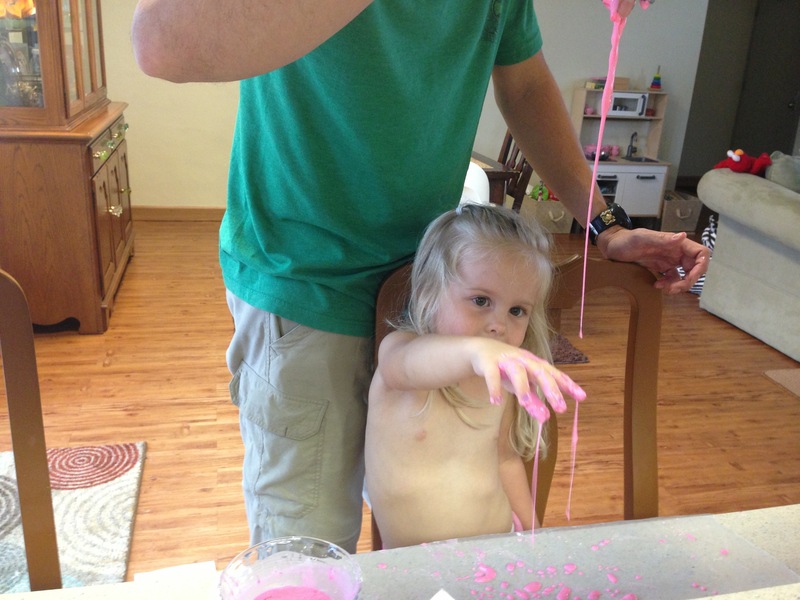 I didn’t love the mess, though, so that was both the first and the last time Isla got to experience oobleck. 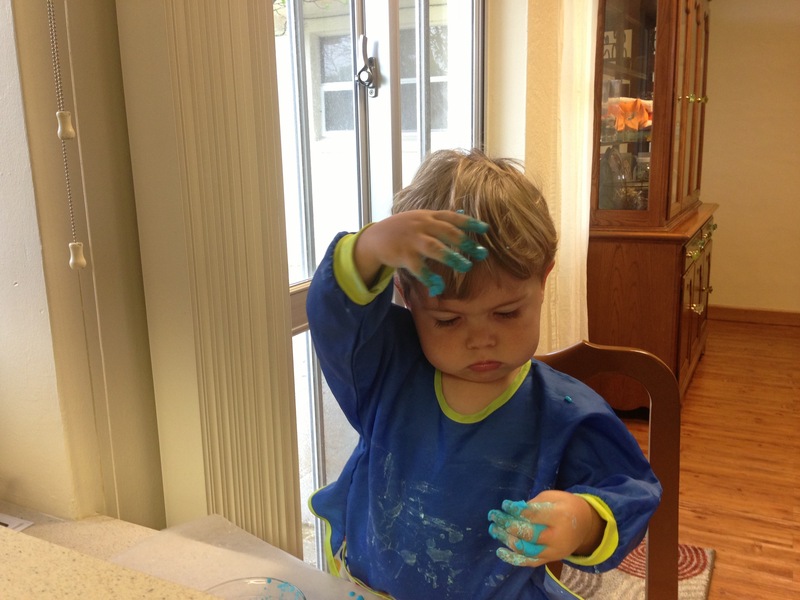 At the time, Elliot was all like, “oobleck! 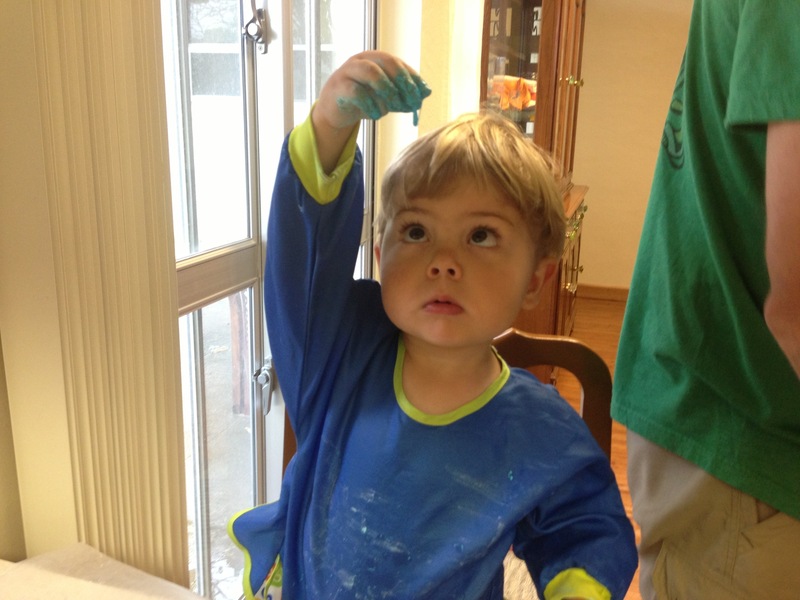 I used to make this stuff all the time when I was a kid!” Oobleck, like paper mâché (see our 2013 Halloween post), is not something I recall in any way from my own childhood. Chalk that up to my mother’s touch of genius. So Elliot sent me for a little nap this afternoon (awesome), and this is what I woke up to. 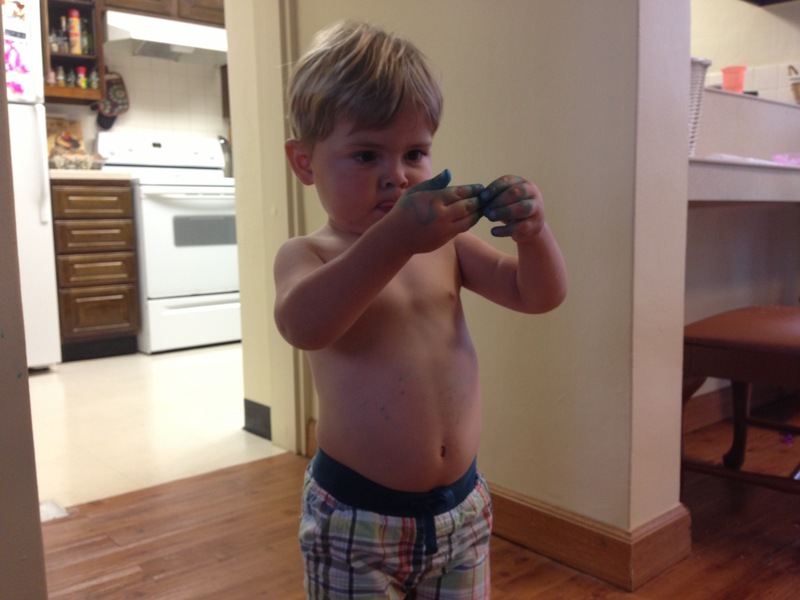 Not sure how much of the mess and the finger-staining shows up in the pictures, but I can’t complain. 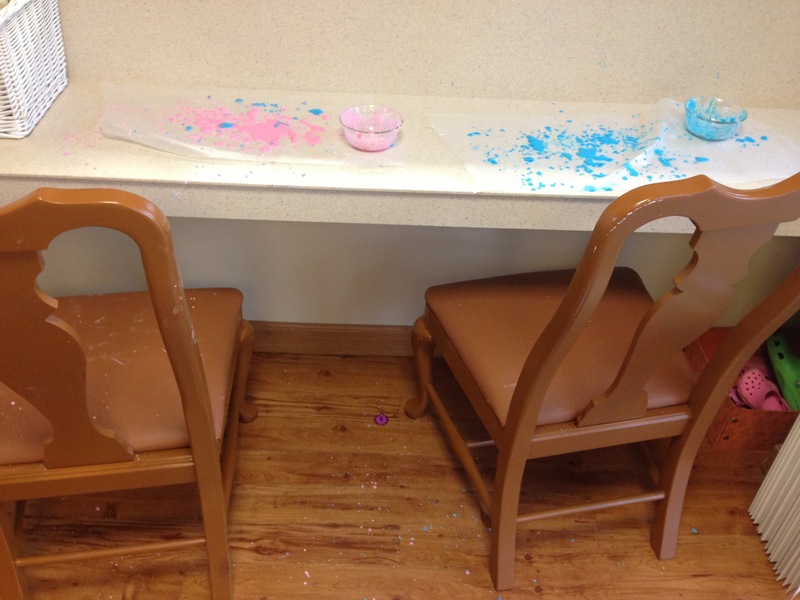 Isla and Asher enjoyed every last drop, and Elliot cleaned it all up.